RWR Watcher (or short RWRW) runs in the system tray monitoring the online server list and informs you automatically when others are joining up for a match! When a match is going on, the tray icon will turn green and a small tooltip pops up with a sound alert (optional). Right-clicking on the tray icon shows you the current server list status and lets you configure various settings such as the minimum player count to be notified about and whether the sound gets played or not. 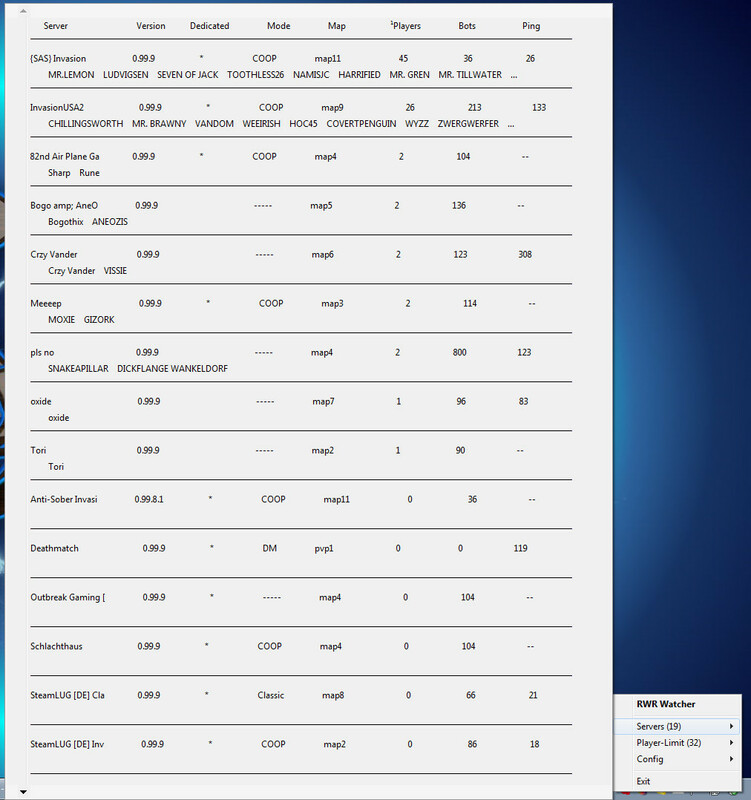 Download RWR Watcher version 1.8.3, zip, 381kb. or C:\Program Files (x86)\Steam\SteamApps\common\RunningWithRifles – this enables you to launch RWR directly in RWR Watcher ready to join the server you clicked. 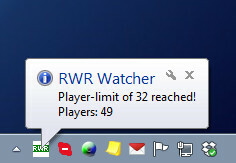 For bug reports and suggestions for RWR Watcher, see the forum thread. 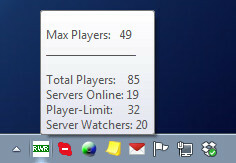 Great tool and very handy if you don’t want to have to launch the game to see who’s on the servers! This is a great little tool. Very easy to install and use. Would it be possible in the future to have the country of origin for each server posted as well? brought this for my brothers birthday, AND, it don’t work on win 8.
contacted the publisher on this page , a brief email with suggestions…..nothing worked!